This gem belongs to Norwegian Cruise Line. In 1977, Norwegian Caribbean Line (as the company was called at that time) leased the north section of the island from Belcher Oil. In 1986, the company purchased Great Stirrup Cay and turned it into the beautiful private resort, which can be visited only by cruise liners’ guests. It is a tender port, so visitors are transported ashore by tenders. White-sand beaches, coconut palms, warm turquoise waters, breathtaking scenery – NCL managed to create a perfect location for an unforgettable day on the beach. NCL thought out every detail to satisfy needs and requirements of all travelers. Endless beaches with great facilities, private cabanas, walking trails, dining options, bars, the straw market, the world’s largest inflatable waterslide – here you’ll find everything you need to feel happy. Did we mention that food is included? As you can see in the video above, the port offers numerous things to do for every taste. Hiking, swimming, kayaking, parasailing, snorkeling, feeding stingrays, or just sipping a refreshing cocktail on the beach – it’s up to you. By the way, Great Stirrup served as a shelter for pirates a couple of centuries ago. Who knows, maybe you’ll find the pirate treasure on the island. Is it like a paradise from your dream? Now we invite you to plunge into the bright underwater world of the Great Stirrup Cay cruise port. Great Stirrup Cay snorkeling is truly one of the best throughout the Caribbean. It’s interesting to know that soon the island will offer a new exciting experience. As a part of the Norwegian Edge program, the company will open an exclusive lagoon with luxury villas, The Silver Palm Restaurant, pristine beach, and even more. 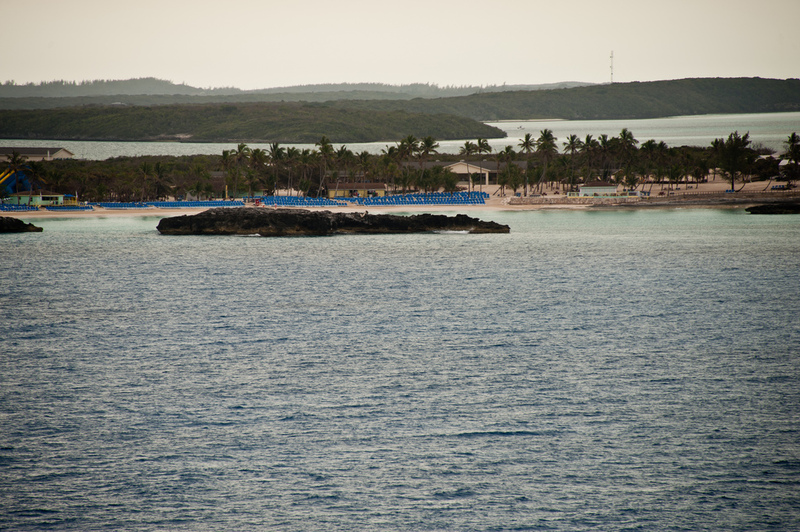 By the way, Great Stirrup Cay is adjacent to Royal Caribbean International’s Little Stirrup Cay. We already talked about this private port, and you can check several inspiring videos about it via this link.